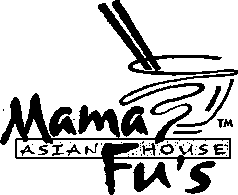 Mama Fu's Noodle House, Inc.
Mama Fu's Noodle House, Inc. is offering franchises to operate a fast casual restaurant offering Pan-Asian food products under the service mark "MAMA FU'S ASIAN HOUSE". The initial franchise fee for each MAMA FU'S restaurant is $20,000. We require you to sign a Market Development Agreement in addition to the Franchise Agreement and you must pay a market development fee of $20,000 for each Mama Fu's restaurant you agree to develop under the Market Development Agreement. The market development fee you pay for a Mama Fu's restaurant will be credited against the initial franchise fee for that Mama Fu's restaurant, as long as you develop and open the restaurant according to your development schedule (See Item 5 of this Offering Circular). The estimated initial investment for each Mama Fu's restaurant ranges from $391,000 to $726,000 (See Item 7 of this Offering Circular). (D) A PROVISION THAT PERMITS A FRANCHISOR TO REFUSE TO RENEW A FRANCHISE WITHOUT FAIRLY COMPENSATING THE FRANCHISEE BY REPURCHASE OR OTHER MEANS FOR THE FAIR MARKET VALUE, AT THE TIME OF EXPIRATION, OF THE FRANCHISEE'S INVENTORY, SUPPLIES, EQUIPMENT, FIXTURES, AND FURNISHINGS. PERSONALIZED MATERIALS WHICH HAVE NO VALUE TO THE FRANCHISOR AND INVENTORY, SUPPLIES, EQUIPMENT, FIXTURES, AND FURNISHINGS NOT REASONABLY REQUIRED IN THE CONDUCT OF THE FRANCHISED BUSINESS ARE NOT SUBJECT TO COMPENSATION. THIS SUBSECTION APPLIES ONLY IF: (i) THE TERM OF THE FRANCHISE IS LESS THAN 5 YEARS; AND (ii) THE FRANCHISEE IS PROHIBITED BY THE FRANCHISE OR OTHER AGREEMENT FROM CONTINUING TO CONDUCT SUBSTANTIALLY THE SAME BUSINESS UNDER ANOTHER TRADEMARK, SERVICE MARK, TRADE NAME, LOGOTYPE, ADVERTISING, OR OTHER COMMERCIAL SYMBOL IN THE SAME AREA SUBSEQUENT TO THE EXPIRATION OF THE FRANCHISE OR THE FRANCHISEE DOES NOT RECEIVE AT LEAST 6 MONTHS ADVANCE NOTICE OF FRANCHISOR'S INTENT NOT TO RENEW THE FRANCHISE.